PORT-OF-SPAIN, Trinidad – The Windward Islands have one aim in mind as they step into battle in the NAGICO Super50, and that is to defend their title against all-comers. Skipper Liam Sebastien was forthright as he spoke to ahead of the tournament-opener against Jamaica, which is slated for Queen's Park Oval on Thursday. The day/night fixture starts at 2pm (1pm Jamaica Time). "It's very important to get off to w inning start and that's what we will look to do. In a tournament like this, if you don't win your first match, you basically have to win the next two to book a place in the semi-finals. That means our match against Jamaica will be vitally important," he said. Last year, Sebastien was at the helm when the Windwards beat Jamaica in the semi-finals en route to winning the title and he noted that the approach will be to get the better of the Jamaicans again. "We don't fear anybody. We beat Jamaica last year when, maybe, the whole Caribbean thought they would walk all over us….we beat them comfortably in the semi-finals. They are coming with plans and we have to counter them." The allrounder added: "We won last year but this is a new year. We have put last year behind us and we will look to be even better this year. We are in new surroundings, new conditions, so we have to make a fresh start…but we are confident going into the tournament." The pitch at the Queen's Park Oval had a covering of grass – which was a surprise to the Windwards captain. He said however this would not change his team's approach going into the match. "I've never seen so much grass on the Queen's Park Oval pitch speaking to some people around they said the pitch is likely to offer some bounce. We will try to select the best team for these conditions and play it as we know it," he said. "If we come tomorrow and the pitch is offering bounce we will adapt to what we get. We have our plans to who will be in the first eleven so we will adapt to what we are faced with. We'll be ready." 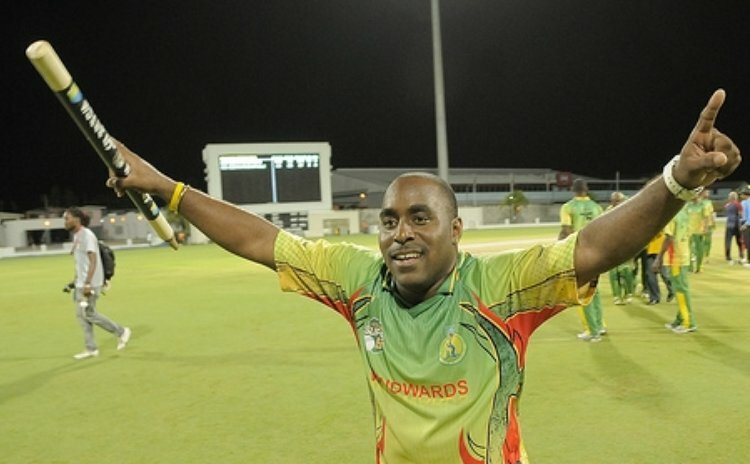 The NAGICO Super50 will be played in Trinidad and Tobago from January 30 to February 16. Matches will be at the historic Queen's Park Oval in Port-of-Spain and the picturesque Shaw Park in Tobago. The champions will take home the Clive Lloyd Trophy – named in honour of the legendary captain of the 1975 and 1979 World Cup winning teams. IRELAND: William Porterfield (captain), Alex Cusack, George Dockrell, John Mooney, Tim Murtagh, Andrew McBrine, Kevin O'Brien, Niall O'Brien, Andrew Poynter, Max Sorensen, Paul Stirling, Stuart Thompson, Gary Wilson, Craig Young; Phil Simmons (coach).